The wind, how many divisions? Today, some 8000 machines are set up on the territory, with two pilot regions: the Hauts-de-France and the Great Is. 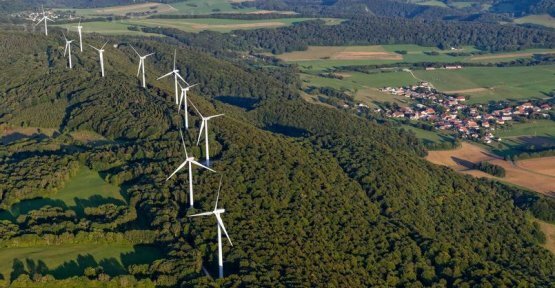 For a climb of 15.1 gigawatts (GW) installed at the end of 2018, to 35 GW in about 2028 (according to the objectives of multi-annual programming of energy [PPE]), are 6000 to 7000 wind turbines additional that will have to be built. Either 15,000 of the total in the Hexagon at the beginning of the 2030s. These machines vary in size, the new equipment up to peak up to 200 meters of height. The wind farm current represents 6% of the consumption of national electricity. In ten years we could be closer to 15%, if the time of passage of the EPP are met. These indicators are to tell the professionals that the sector is dynamic, driven by the 18,000 jobs across 800 companies (energy companies, design offices, installers, equipment manufacturers, etc. ).